Lock in a great price for Kimpton Alexis Hotel – rated 8.7 by recent guests! Very clean. Very comfortable beds. Extremely helpful, professional and friendly staff that go above and beyond for everything! The property was very well kept. Close to many great restaurants including the Bookstore located in the hotel. The staff was great. Room service was remarkably fast and good. The bar/ restaurant in the hotel was very good. A bit noisy but great food and staff. Especially Vivian. The staff at the front desk were SO friendly after we arrived tired from a train ride that was 2.5 hours late! They poured me a glass of wine even though happy hour had just ended, and upgraded us to a luxurious king room on the top floor. Amazingly comfortable bed, so much room, and gorgeous bathroom with double sinks. We wish we could have stayed longer. Location is great. The in-house restaurant is good. The concierge at check-in was very helpful and generally I can't fault the staff in any way. Your hotel is conveniently located within walking distance or very short Uber ride to so many downtown attractions. Our room (#312) was very comfortable and cozy. We enjoyed our balcony. The wonderful added perks for my dog!! The staff was proffessional yet warm and oersonal. Room service was more than I had hoped for!!! It wS a friend.y and happy place. Your daily wine hour a nice touch. Not a whole lot. Overrated hotel. Bathroom is poorly lit and needs updating. Kimpton Alexis Hotel This rating is a reflection of how the property compares to the industry standard when it comes to price, facilities and services available. It's based on a self-evaluation by the property. Use this rating to help choose your stay! Located in the city center of Seattle, Kimpton Alexis Hotel is 5 minutes' walk from the waterfront and the Seattle Ferry Terminal. Rooms offer a flat-screen cable TV. 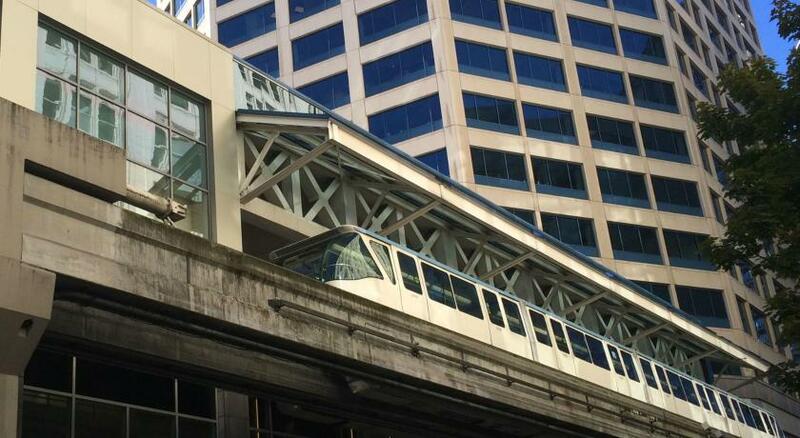 The hotel is also within walking distance to many other attractions including CenturyLink Field, Safeco Field and Pike Place Market. WiFi is complimentary for Kimpton Karma Rewards Members, and available in all rooms at the Kimpton Alexis Hotel. The 100% nonsmoking rooms also feature an honor bar, an iPod docking station, and an Amazon Echo dot, programmed to answer guest questions about the hotel and the surrounding area. The Bookstore Bar & Cafe, located in the Kimpton Alexis Hotel, is known for its large whiskey library and monthly scotch tastings. True to its name, guests can also purchase books while they are sipping on a variety of beverages. Free morning coffee and tea service is available in the living room-styled lobby. Room service is available from 06:00 to 22:00 daily. A fitness center complete with a cardio room and functional fitness room with monkey bars, a bouldering wall, and rings is located at the property. A 24-hour front desk and business center are also provided on site. A concierge service, to assist guests with area attractions, is offered at the hotel. 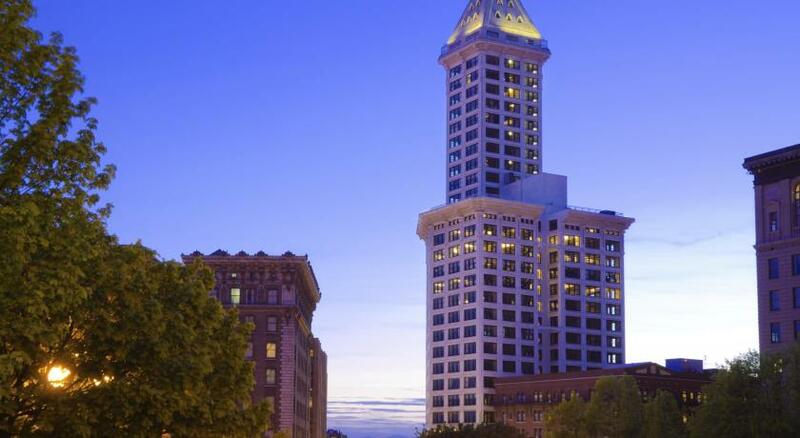 The Seattle Art Museum is less than 5 minutes’ walk from the Kimpton Alexis Hotel. 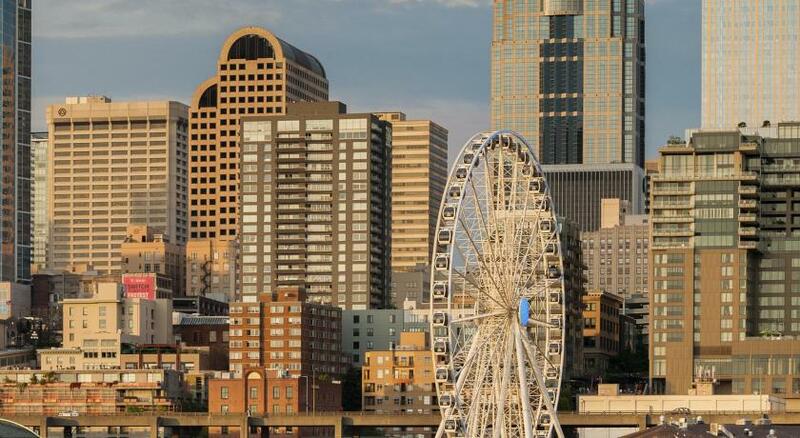 Pike Place Market and the Seattle Waterfront is less than 10 minutes’ walk away. Seattle-Tacoma International Airport is 14 mi away. When would you like to stay at Kimpton Alexis Hotel? A flat-screen cable TV, iPod docking station, and Amazon Echo Dot are available in this room. Views of the surrounding neighborhood are also included. A flat-screen cable TV and Amazon Echo Dot are available in this room. Views of the surrounding neighborhood are also included. A flat-screen cable TV, iPod docking station, and Amazon Echo Dot are available in this room. Views of the surrounding neighborhood are also included. A sofa bed is also available. A flat-screen cable TV, iPod docking station, and Amazon Echo Dot are available in this room. Views of the surrounding neighborhood and an accessible roll-in shower are also included. A flat-screen cable TV, iPod docking station, and Amazon Echo Dot are available in the separate living room. A separate dining room and an honor bar are also included. House Rules Kimpton Alexis Hotel takes special requests – add in the next step! Kimpton Alexis Hotel accepts these cards and reserves the right to temporarily hold an amount prior to arrival. Avocado toast was mind blowing. Way over priced. Elevator broken. Room not ready at check in. Nice clean room, but certainly nothing luxurious. Room was just ok and did not seem clean, the subfloor under the carpet was crumbling, so weird. The texts from front desk asking if we loved the room were over kill given that it was a basic king room and not special in anyway! Room was small. Only a desk chair to sit in. It lacked flat areas to put your stuff. No space in the bathroom next to the sink for toiletries. Also only a single hook to hang towels or clothes. If they want you to be green, then maybe they should provide a place to dry your towels. Also, they could lose the giant tray of food for sale. Heating system struggled to maintain temp. Either hot or cold. The front desk staff were consistently unfriendly and curt. We arrived on Christmas so this was particularly regrettable. The interior design was an odd combination of furniture styles. The bathroom was small, not at all on par with the rest of the suite, and the shower curtain was on backwards. I also had to refute and get reimbursed for a minibar charge (we didn’t use at all). You can hear foot steps from upstairs very clearly. It was very loud and obnoxious. Hard to sleep in. Everything was mediocre to terrible.